Under contract but will take back up offers! Looking for that home that is not like all the others? MOTHER IN LAW SUITE Here!! Here it is!! It is one 1 acre 3 bedroom and 3 bath with side entry garage. This home has 2 master suites and one with its own separate kitchenette and living room. It can also easily be converted back to a 4th bedroom or one larger room. This home has lots of potential to make a very unique floor plan that is just right for you. 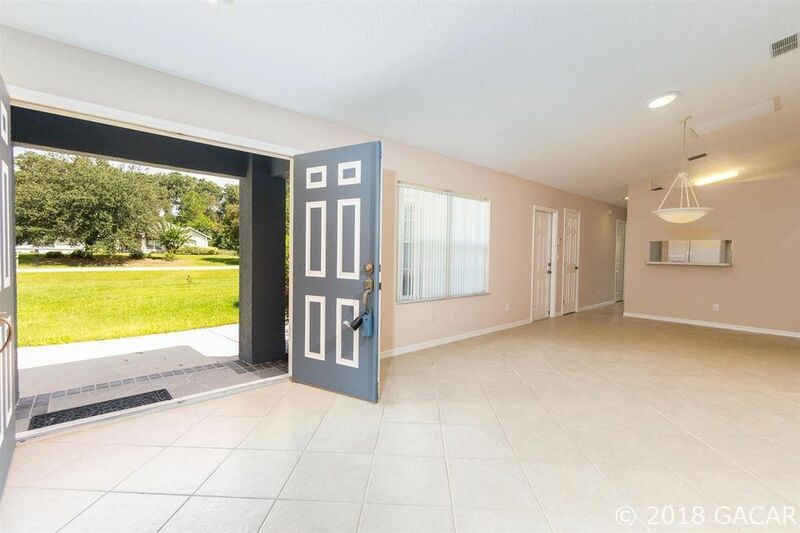 There is a large family room with a wood burning fireplace and a back Florida rooms with lots of windows to over look a stunning court yard that is fenced in for those small animals plus has a fire pit, gazebo covered with wisteria for entertaining. This home is concrete block and was custom built for the seller. This home is perfect for that buyer that wants to be creative and make it what they want. Lots of square footage to put your own touch to it. Bring your imagination and the sky is the limit!